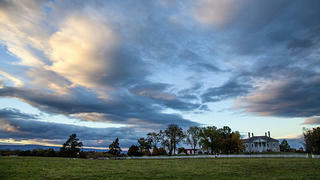 Belle Grove is the centerpiece of the Cedar Creek and Belle Grove National Historical Park. 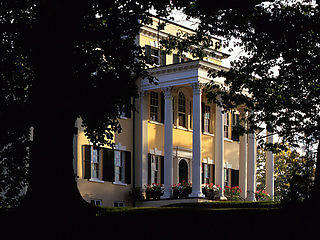 Situated on 283 of the original 483 acres, Belle Grove showcases the Shenandoah Valley’s breathtaking mountain view. Major Isaac Hite and his wife Nelly Madison Hite (sister of President James Madison) built Belle Grove in 1797. The grandson of Shenandoah Valley pioneer Jost Hite, Major Hite expanded his original 483 acres to a prosperous 7,500-acre plantation, growing wheat, raising cattle and Merino sheep, and operating a large distillery and several mills. 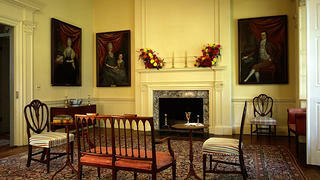 Visitors to Belle Grove’s plantation grounds can explore the Manor House. Once called "the most splendid building west of the Blue Ridge,” the Federal-era home was based on design principles of Thomas Jefferson and constructed of native limestone quarried on the property. The grounds also feature the 1815 icehouse and smokehouse, demonstration garden designed by the Garden Club of Virginia, slave cemetery, and a heritage apple orchard. 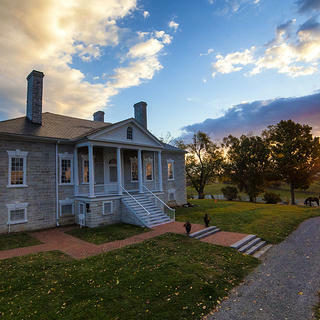 Belle Grove is owned by the National Trust for Historic Preservation and operated by Belle Grove, Inc.
Belle Grove is also a member of the National Trust's Distinctive Destinations program. The grounds at Belle Grove feature the 1815 icehouse and smokehouse, demonstration garden designed by the Garden Club of Virginia, slave cemetery, and a heritage apple orchard. 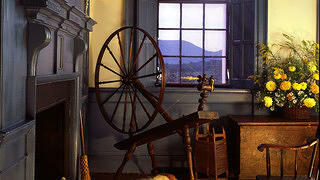 Once "the most splendid house west of the Blue Ridge," the Manor House still retains its original charm. 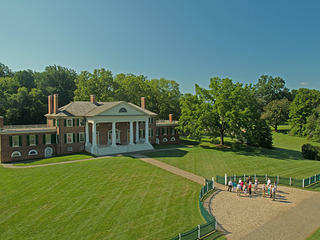 The Manor House is only one part of Belle Grove Plantation, which encompasses over 7,000 acres of land.